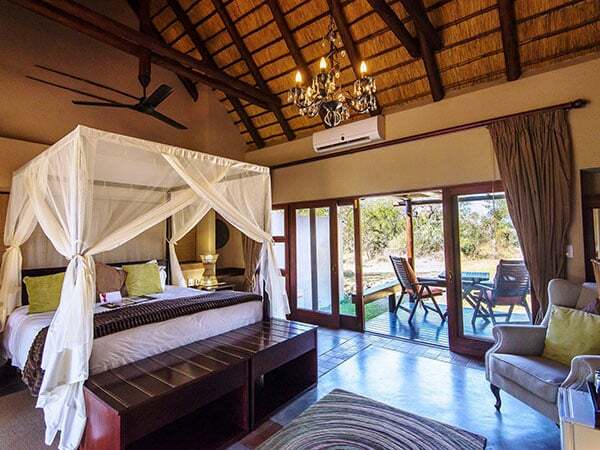 Inyati is an excellent Sabi Sand property with substantial land on both sides of the Sand River with its golden African sunshine and cool, shady hideaways. 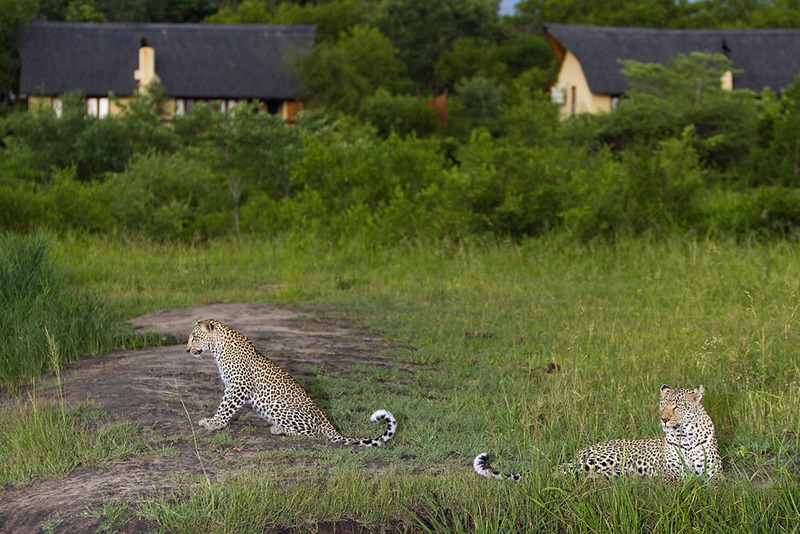 One of only 9 Sabi Sand lodges with river frontage. 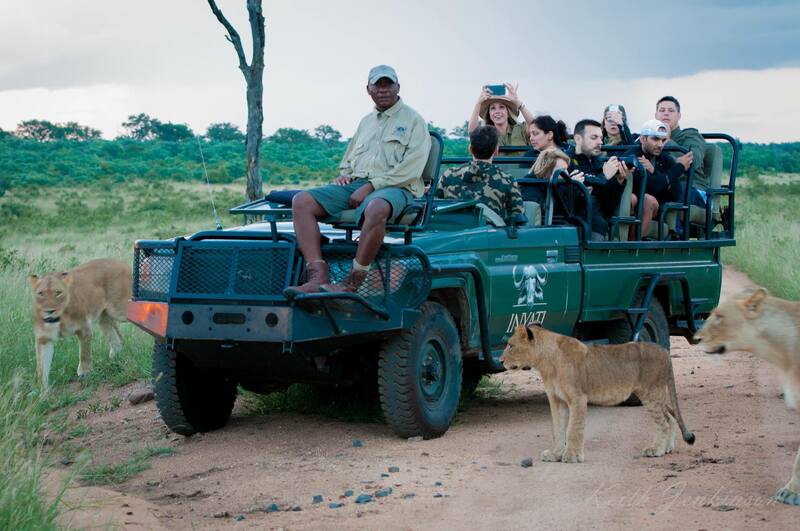 Perennial water attracts the Big Five; the predators follow the general game and the area is particular good for leopard sightings and resident lions. With access to 10,000 hectares of the northern sector, traversing is extensive. 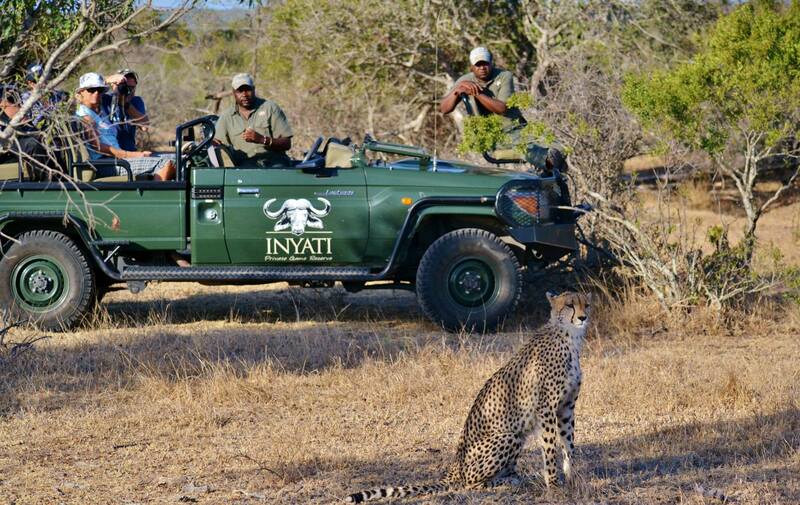 Inyati has first call on its own substantial chunk of this shared land. 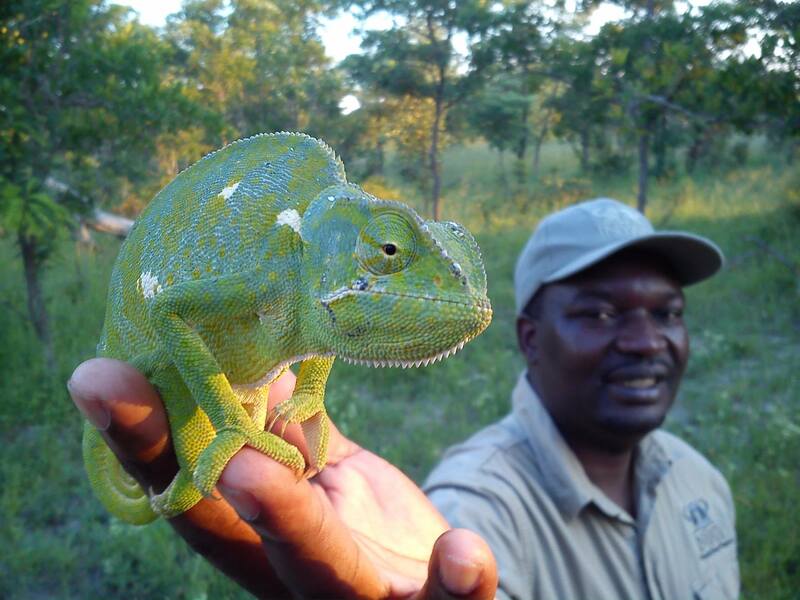 Excellent safari walks are offered by the qualified Trails Guides. They are tailored to your level of fitness and interests, and should not be missed. Birding is a particular passion amongst the Guides. The trackers are particularly good here. Unusually, you can also go fishing. 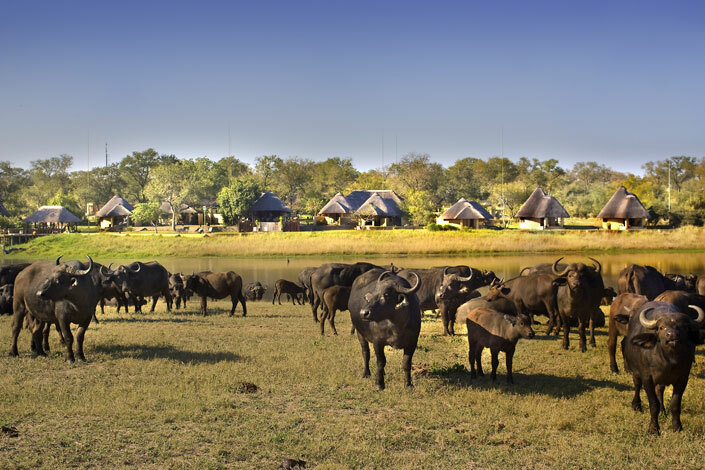 Inyati has eleven chalets, accommodating a maximum of 25 guests. Each air-conditioned chalet features an en-suite bathroom with twin hand basins, separate bath, and indoor and outdoor showers. 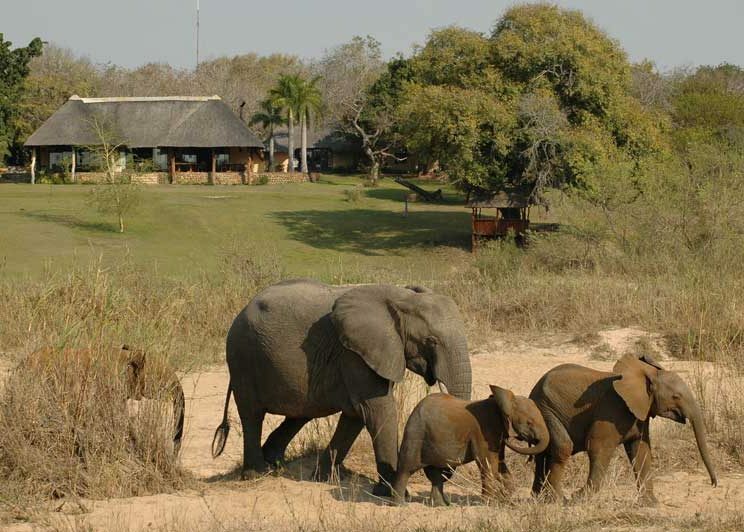 A verandah and manicured lawn lead down to a shallow cliff overlooking a wide expanse of the river where elephant and hippo visit. Sitting and dining areas overlook the Sand River. 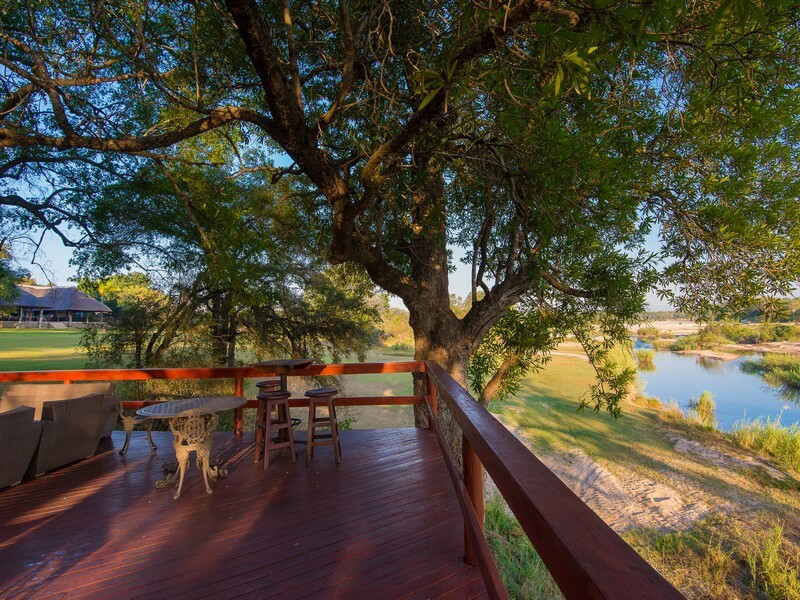 A deck under the riparian trees offers shade and a view. 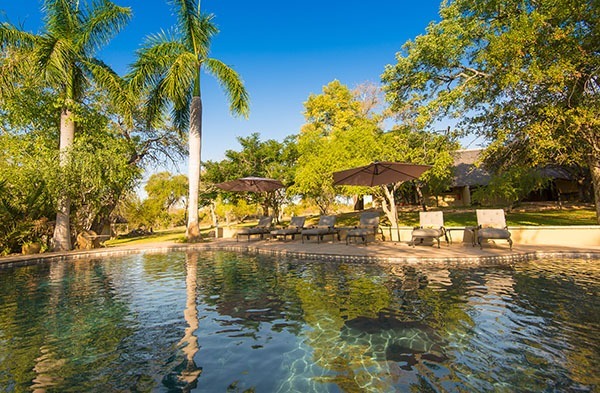 A large swimming pool overlooks the bush, with Warthog Hollow bar. A walk-in wine cellar is stocked with over 2,000 bottles of selected wines and champagnes. An air-conditioned gym offers treadmill, bicycle and stepping machine. 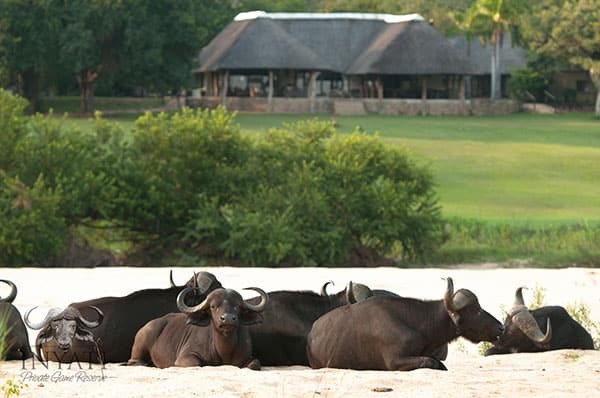 The traditional boma is used on nights, weather permitting. Food is ambitious and of a high standard. 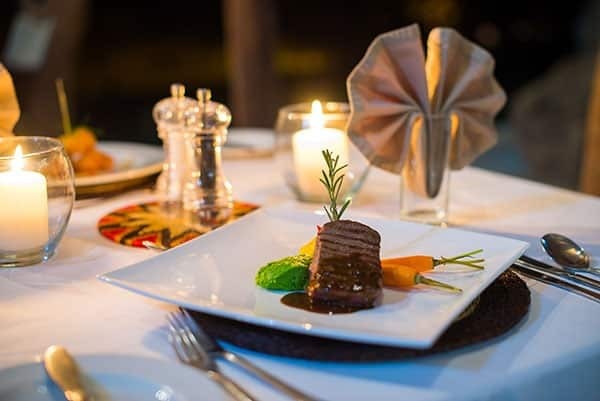 Stay for a couple of nights and experience a traditional South African braai (barbeque) under a blanket of stars in the heart of the bushveld. 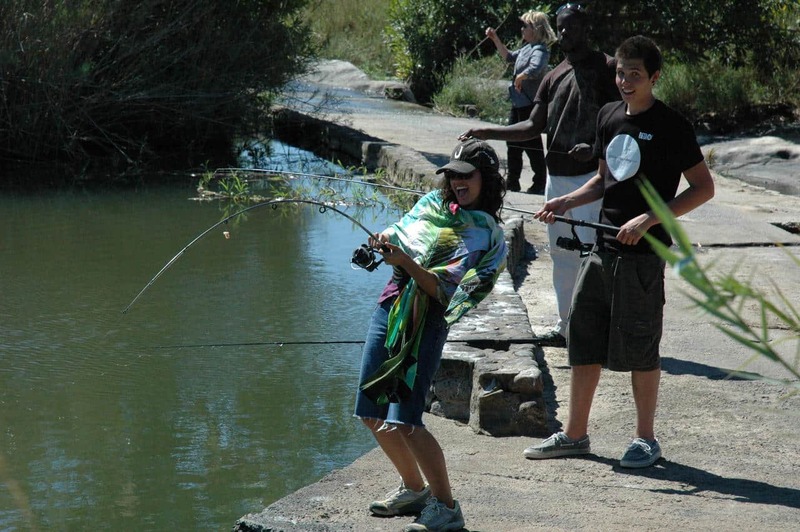 Unusually, fishing is encouraged as a leisure activity on the lodge’s Sand River causeway, with equipment provided, . Accompanied by an armed Guide, catch and release tigerfish, sharp-tooth catfish, tilapia, yellowfish, squeakers and mudfish. 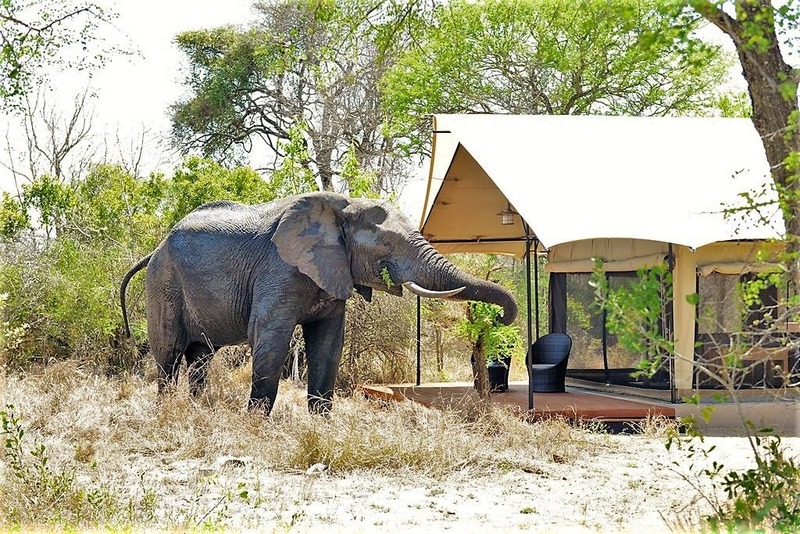 A Young Rangers Programme teaches kids to use their senses to fully appreciate the wonders of nature: tracking animals by their spoor, bird calls, animal behaviour, the sky at night, uses of plants.